Did you know that the air ducts in your home or office could be causing you to pay more on your electric bill and exhibit a number of health problems? Air duct cleaning should be done on a fairly regular basis to ensure that the air ducts and the return air vents are cleaned sufficiently, getting rid of dust, dirt, micro-organisms and various other allergens. The entire duct cleaning services encompass cleaning the heating and cooling components of your HVAC system. This means the ducts, the heat exchangers, the coils, the condensation drain pans, housing for fans and motors as well as the housing of the air handling unit. These components will be contaminated even when they are installed and maintained properly. Microbial growth is possible in these areas, especially if moisture is present. This comes directly from the EPA. This could lead to a number of allergic reactions to anyone who is in the room, breathing the air. We recommend that you get your ducts cleaned on an annual basis – and possibly more frequently depending upon the conditions of the building, if pets are around or if there have been any problems in the quality of the air. Don’t let poor air quality drag down your health. By reducing the dirt and dust within the ducts, it will also reduce the obstacles for the air flow. This reduction will greatly improve the efficiency of your HVAC unit. The benefit of this is that you will see a significant improvement in your electric bill each month because your system won’t be working as hard to reach your temperature settings. 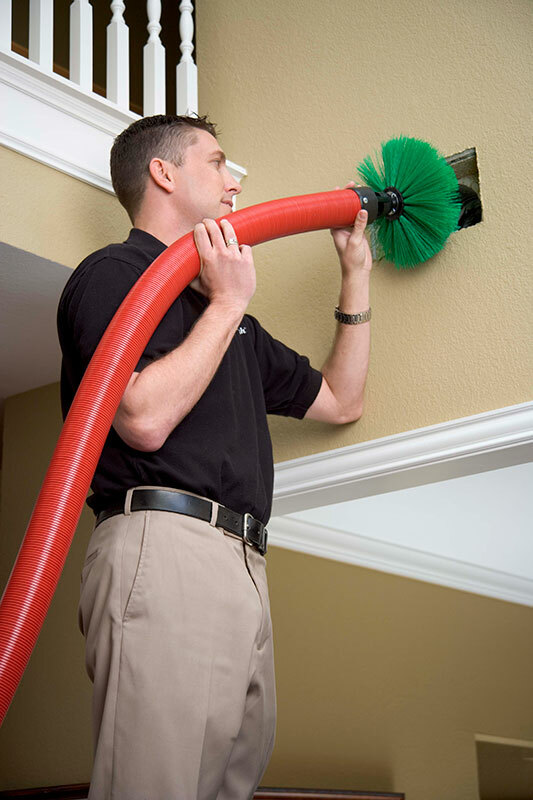 When you are looking to have your air ducts cleaned, it’s imperative that you have it done by professionals. Not all companies clean the same components. Call us today and we will discuss what all of our services encompass and we will provide you with a quote for the work.